Ed and Edie Layton moved to Moosehaven in December 2016. Ed has been a dual member of our lodge for many years. Edie has been a dual member of our Chapter. Edie suffered a stroke last year and lost the ability to walk, communicate and take care of herself. 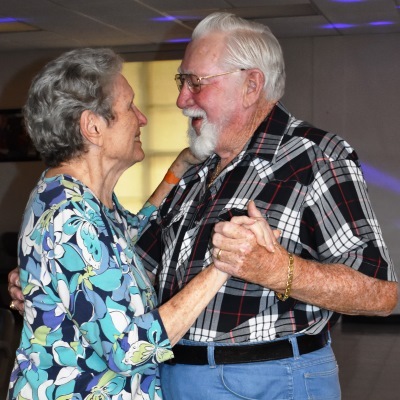 Being the kind of husband he is, Ed used up a lot of resources having Edie in our local Palm Bay Life Care Center Nursing Home. All along he knew Moosehaven was a benefit of his long time membership in the Loyal Order of Moose. 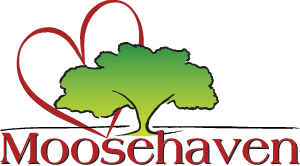 Once they had made the decision to move, Edie was transported to Moosehaven and immediately placed in the LifeCare Center at Moosehaven for treatment. Ed was given his own room in Chancellor’s Hall. While Ed was trying to adjust to the new surroundings and life style, he said there was so much to do; he has not had time to do everything. His time is spent with daily visits to Edie, driving a golf cart transporting residents and fishing. Edie on the other hand has been focused not on comfort, but recovery. The care she is receiving is 5-Star Rated. When we visited with her during the Florida Day Event, March 18th at Moosehaven, she could nod, understand us, recognize us and was eating on her own at the picnic. Then at the dinner dance that night, she stood up and danced with Ed. An amazing triumph for Edie and a testament to the care she is getting at Moosehaven.